This recipe for chocolate rolled cookies from The Martha Stewart Living Cookbook is one of my 'old faithfuls' for Christmas baking. The dough is easy to work with and study enough for giant cookies. It's also really delicious. For these last minute holiday cookies, I'm sandwiching mint frosting between two chocolate gingerbread men shapes. I'm keeping the decorating simple with just a few sprinkles, but you could make them as fancy as you like. This recipe is a breeze to mix together, the dough isn't overly stiff or sticky, so it's easy to mix and roll out. Sift to combine flour, cocoa, and cinnamon. Cream together butter and sugar either by hand using a large spoon, or with your mixer on medium speed, until light and fluffy. Add eggs and vanilla extract, and beat for another minute. Add the flour mixture and stir by hand, or on low speed in your mixer until thoroughly incorporated. Divide dough in half, pat into disks, wrap in plastic wrap, and chill for an hour. Preheat oven to 350F. Roll out the dough on a floured surface using a well floured rolling pin until about an 1/8th of an inch thick. 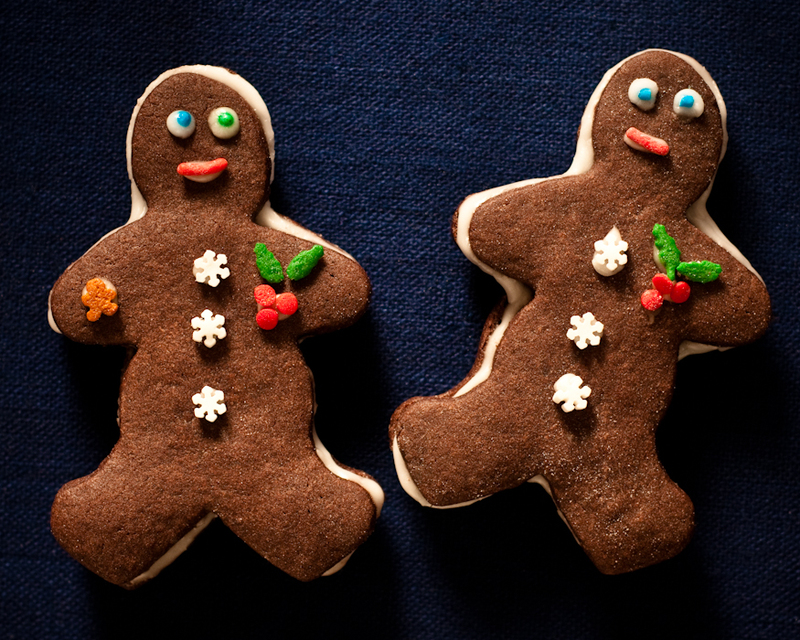 Cut out your little men, or shapes of your choosing, and place on an un-greased cookie sheet. Chill cut shapes for 5-10 minutes in your freezer before putting them in the oven to bake. Bake for 8-10 minutes (depending on size) until just crisp. Allow to cool on a rack before icing. Sift the icing sugar into a bowl and add the wet ingredients, and just stir to combine. Once cookies have cooled, spread the minty frosting over half of them on their backside, and sandwich with another unfrosted cookie. 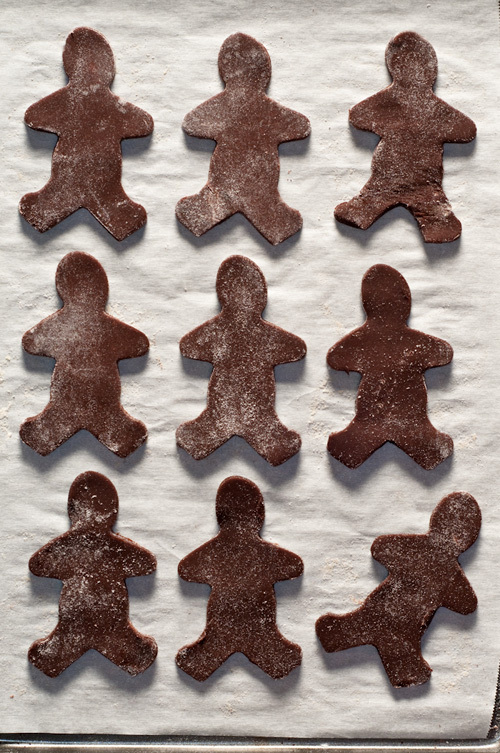 Decorate the little chocolate men with your choice of sprinkles or frosting, and voila! 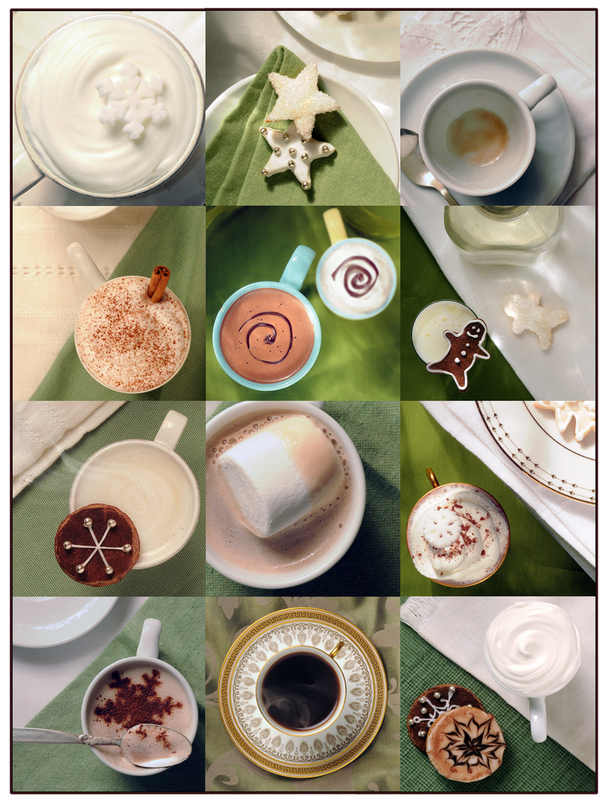 Wishing you all happy, yummy holidays!